Have you done all your back to school shopping? Did anyone need glasses? We have 2 people in our family who have to wear them all the time. And then my daughter and I need them for reading. Right now I just use reading glasses, but I can see prescription glasses coming soon! 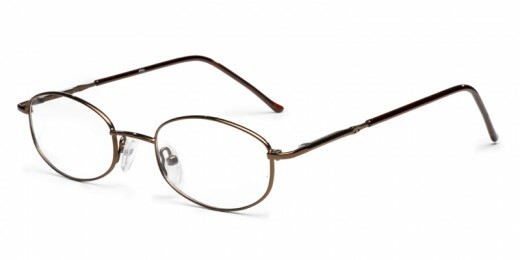 What do you look for when you order glasses? Do you always buy local? Do you ever order online? How much does price affect your decision. These are the Blue Joey. 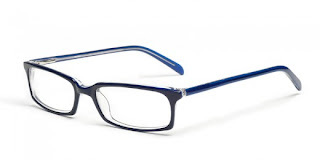 We have previously ordered from GlassesUSA.com and been very satisfied. My daughter received her last pair of glasses from them. We were able to do everything right online! We just needed her prescription, a recent one, then she chose a couple of frames she liked. After going back and forth a few times she finally came to a decision and we placed the order. They kept us updated throughout the procedure and let us know when they shipped. They are her everyday glasses right now. We may have a need for GlassesUSA.com again soon as my husband just broke his frames. He has prescription glasses but they are bifocals. He broke the frame when they fell to the floor. This pair has the line in the lens and he wants his new pair without the line. We actually had to use superglue the frame for our trip because his lens fell out. Time to get new glasses! These are Kris frames found at GlassesUSA. My 11 year old also has eyeglasses for now. Hers are for reading only and they say she will probably outgrow the need for them. Personally I think she likes them because she likes glasses period. Of course she likes all kinds of fashion accessories, like scarves, hats, bracelets, so why not glasses! One thing my daughter liked about GlassesUSA is they have this virtual mirror feature where you can see how the glasses would look on you. Really a neat idea! You can upload a photo of yourself, use your webcam, or use one of theirs. Then you can try on the different eyeglasses available. They have just about every style and shape imaginable. I just tried it out and it works great! I took a picture with my webcam and then was able to adjust the glasses and position of my head to see how they looked. I included a couple of pictures of some frames that I liked. Have any of my neighbors tried this feature? Let me know what you thought. Or if you haven't try it out and then tell me what you think. Disclosure:This is a sponsored post for GlassesUSA. All quotes in red are taken from the website. All thoughts and opinions are mine.